Progressive rockers Transience return with the launch of their new single Words, boasting soaring melodies, crushing grooves, warped time signatures, and expansive atmospheres. Mixed by Phil Trelfall at The Base Studios and mastered by Jamie King at The Basement Studios, Words is the second single of the band's forthcoming sophomore due for an early 2019 release. Known for their unique take on progressive rock and metal, Transience have been going from strength to strength supporting the cream of the crop of international prog rock and metal including The Contortionist (USA), The Ocean (Germany), Starset (USA), Sikth (UK), Caligula's Horse and many others over the past 18 months. Transience first emerged in 2012, demanding attention with their powerful, energetic and genre-bending live show. 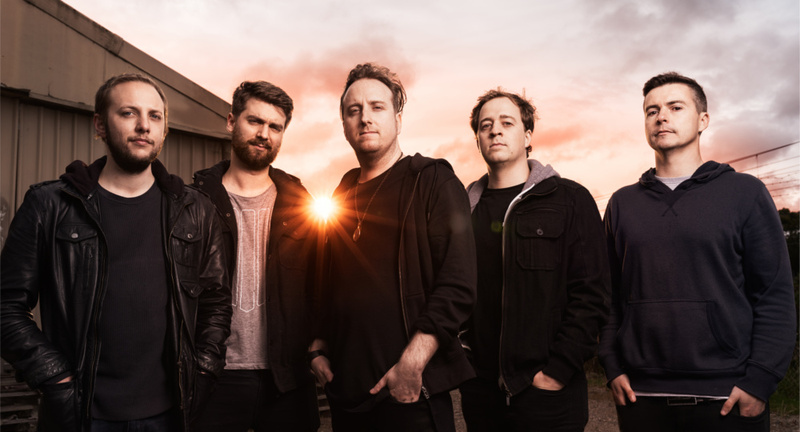 2013 saw them release their self-titled EP, hailed as "a perfect fit within the Aussie atmosphere of bands such as Karnivool, Dead Letter Circus and Breaking Orbit" by international blog, The Undertow, who awarded it number 6 in it's top 15 EP's of 2013. Success from the EP spread into a national tour, playing the Showdown, Creepshow and St Kilda Festivals, as well as shows alongside heavy hitters of the Australian scene. Transience spent 2014 in the studio recording their debut album, Temple, which includes collaborations with some of Melbourne's most talented musicians. Produced and mixed by Phil Threlfall at The Base Studios and mastered by Acle Kahney (TesseracT) at 4D Sounds, the album ebbs and flows in a way that is sure to please any prog fan. Temple was released in 2015 followed up with a national tour. HeavyMag ranked the album "good enough to become a landmark in Aussie progressive heavy rock, and has staked its claim for top albums of 2015 honours". The band's last single, Ocean was recorded with Adam 'Nolly' Getgood (Periphery) at Echidna Studios in Christmas Hills, Victoria. Transience spent time in the studio with Nolly after Periphery's Australian tour in October 2015. The song sees Transience move in a darker and heavier direction, building on the sound developed in their earlier releases. Transience's new single Words is out August 17th 2018.